Usagi Yojimbo, the comic-book series about a samurai rabbit, is to get an iOS game adaptation. Created by six-time Ursa Major Award winner Stan Sakai, Usagi Yojimbo is set during Japan's Edo period, and tells the story of ronin Miyamoto Usagi. The game adaptation, a classic-style beat-em-up side-scroller, is being created by Happy Giant Media. Their CEO Michael Levine has said that the game will feature over 80 different enemy types, and 15 unique bosses. Usagi will fight solo, or with companions he picks up along his journey. In order to preserve the graphic-novel feel of Usagi's original media, the game will also feature interactive comic book-style cutscenes. 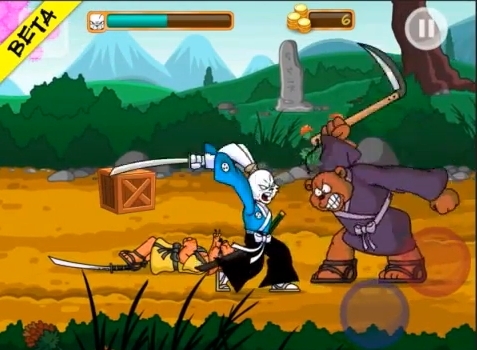 Happy Giant is aiming to release Usagi Yojimbo (for iPhone and iPad) around Christmas. The game is expected to be "probably a dollar or free", with in-app purchases for special power-ups and costumes.